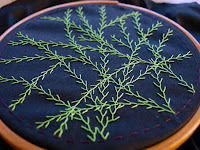 One of the things I wanted to do when I began this project was to experiment with dyeing the embroidery threads myself. Hand-dyeing can result in a lovely, organic variation of shades. The two threads pictured here are hand-dyed using Procion bright green dye, which is easy to use because it works in lukewarm water – no messing around with stoves or microwaves required. 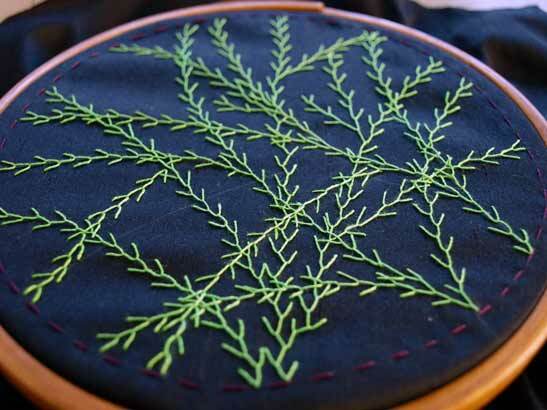 Here's the beginning of an artwork using the hand-dyed threads. 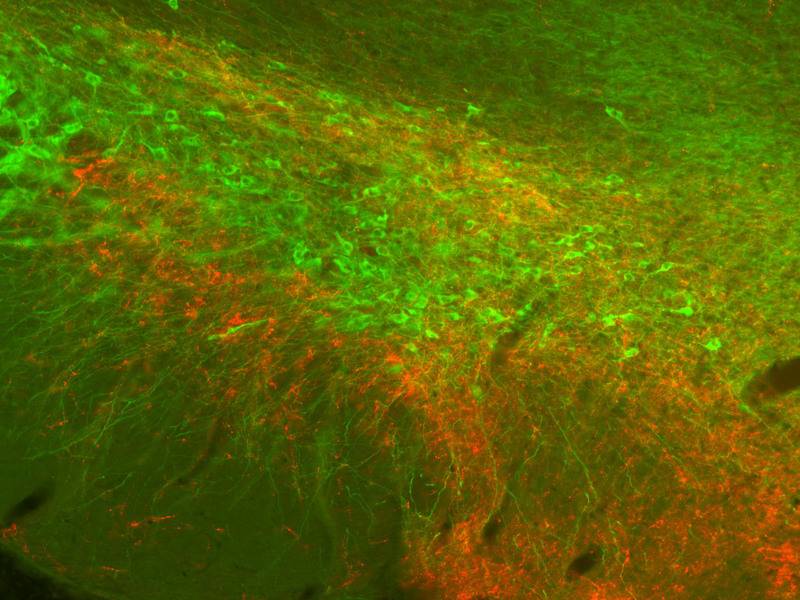 This one uses feather stitch to create sprays of neurons all over the background, which will eventually be thickly covered with stitching. 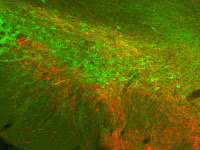 This artwork is based on the image that started this whole project off: it's an image of the brain of a rat addicted to cocaine, that Dr Adam Hamlin showed me when we first met four or five years ago (his work then was on drug and alcohol addiction rather than Alzheimer's disease).